This is our popular trains themed play session where we will be bringing our wooden train set and lots and lots of trains for a traintastic afternoon of fun. We are also bringing along a selection from our role play village to include the cafe, supermarket, construction site and vets. 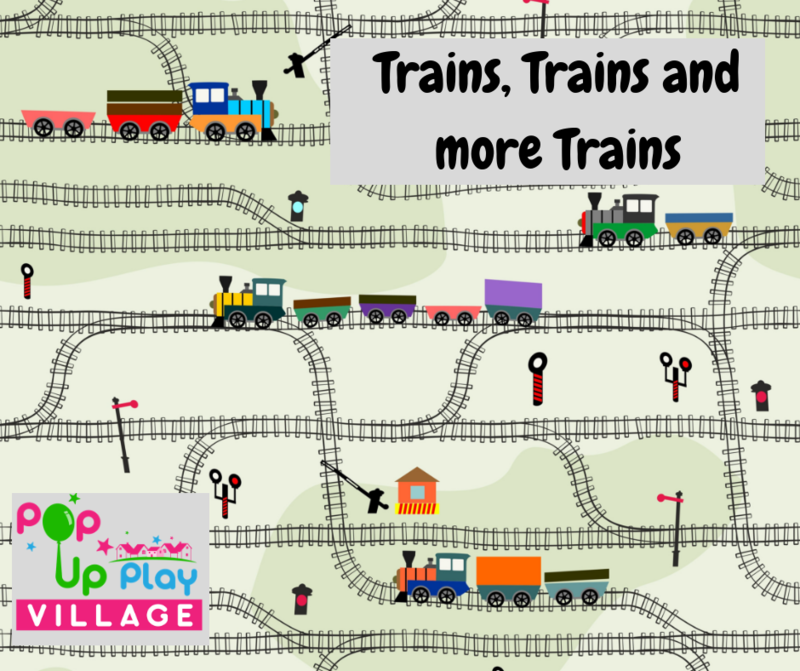 There will be a train themed treasure hunt and Poppy and Pete, our mascots, will have created some challenges for the children to complete in the play village too to help ensure they are learning while they play. Our real cafe will be there with a selection of hot and cold drinks and snacks and our art studio will have a selection of items that you can buy and decorate too as well as that our Usbourne book shop will also be popping up so if you have a birthday coming up it’s a good chance to have a look at what we have in stock. Remember that pre-walkers and adults are free with a child ticket. Also make sure you are wearing or bring a pair of socks as we are a shoes off play session. See you there!